There are many reminders of what a prosperous and modern town Douglas was a century ago. G Avenue was crowded with merchants, banks and the Grand Theater, acclaimed as the best in the West when it opened in 1919. 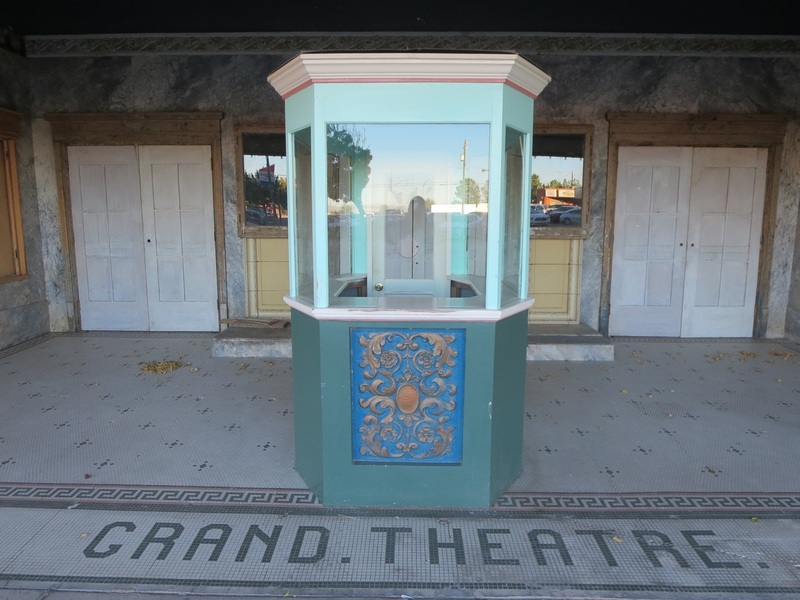 The 1,600-seat Grand hosted musicals, movies and traveling shows with John Phillip Sousa and a young Ginger Rogers. In 1913, El Paso & Southwestern Railroad built an impressive Beaux Arts-style depot in Douglas busy with passenger traffic heading in every direction. The railroad added the El Paso & Southwestern YMCA in 1905, a sprawling Mission Revival building, for its employees. Douglas’ most prominent building is the five-story Gadsden Hotel with its elegant lobby of white Italian marble, a Tiffany stained- glass skylight and gold ornamentation. 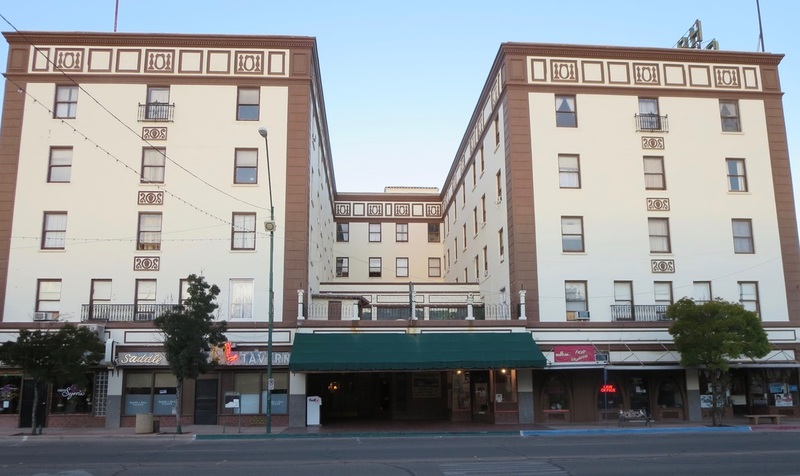 The original 1907 hotel was destroyed in a 1929 fire but was replaced within the year by the current 150-room Gadsden, designed by Henry C. Trost, the Southwest’s most prominent architect of the early 20th century. Mining executives, ranchers and politicians did their business at the Gadsden and its Saddle and Spur Tavern for six decades before the decline of Douglas’ smelters and mining industry. 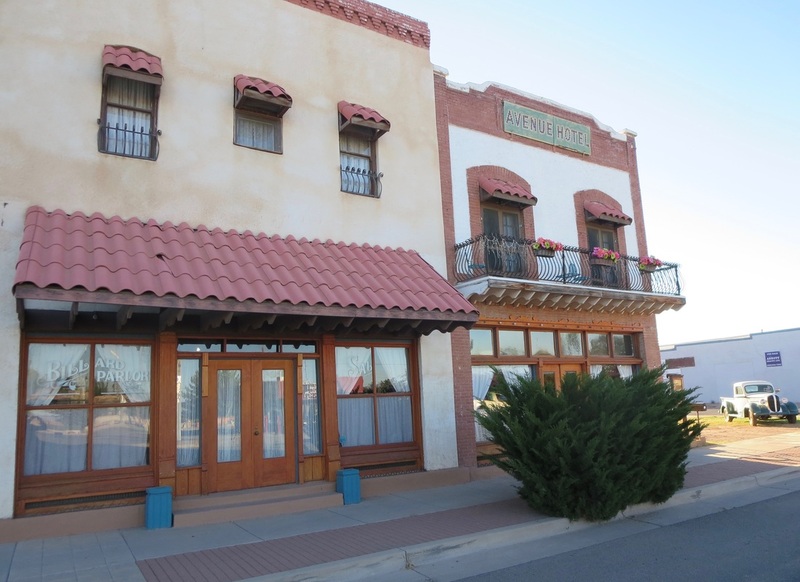 The historic hotel has the required ghost stories and a legend of Pancho Villa riding his horse in the lobby, chipping off a sliver of marble from the grand staircase. John Huston filmed “The Life and Times of Judge Roy Bean” with Paul Newman in the Gadsden in 1972. Meanwhile, tourism and the town’s economy have struggled since the last smelter shut down in 1987. A state prison and the Border Patrol provide hundreds of jobs but aren't an inviting presence for travelers. A Walmart and other commercial developments near the border have gutted commerce from once-thriving G Avenue. Tourists don’t seem to make it past Bisbee, 30 miles away, and to the casual traveler there is little to draw them to Douglas. However, the historic Slaughter Ranch 15 miles east of town is well worth a visit on a passable dirt road. Growth has moved across the border to Agua Prieta. The Sonoran town with 80,000 residents is five times larger than Douglas. Agua Prieta’s maquiladoras, cross-border factories set up by American companies, provide thousands of low-wage jobs. Unfortunately, there is little investment on the American side in industries that could revive Douglas. The town has historic neighborhoods and buildings, and the infrastructure to thrive if some white knight company came calling. Douglas also has a tolerable climate at an elevation of 4,000 feet with milder summer temperatures than much of the Arizona desert and a mild winter. In the first half of the 20th century, Douglas was a crossroads for tourists traveling by rail, air and later automobiles. The elegant lobby of the Gadsden Hotel. That proximity to the border and the night life of Agua Prieta is in contrast to the town’s early ambition of being a wholesome, modern place, unlike rowdier Bisbee with its saloons and brothels. Pulitzer Prize-winning writer Thornton Wilder, who at age 65 discovered Douglas by chance in 1962, was known to close down the Gadsden bar with his drinking buddies and head for a nightcap in Agua Prieta. Wilder was looking for an escape and rejuvenation when his 1957 Thunderbird broke down on a cross-country trip outside of Douglas in late May of 1962. He checked into the Gadsden and stayed for two months before renting a three-room apartment, according to Tom Miller’s story in Smithsonian. Wilder wrote the beginning of his 1967 novel “The Eighth Day” in Douglas in between trips in southeastern Arizona and to the University of Arizona library in Tucson, 120 miles away. “Doc” or “the Professor” as he was known, according to Miller, eventually grew weary of the small-minded slurs of some of Douglas’ townsfolk and moved away in late November of 1963, spending 18 months in the town. “The Eighth Day” won the National Book Award. Wilder, who died in 1975, never returned to Douglas, the place where his novel was hatched. Maybe nothing can save Douglas and the Gadsden Hotel from their decline, but it’s easy to imagine a renaissance of both. 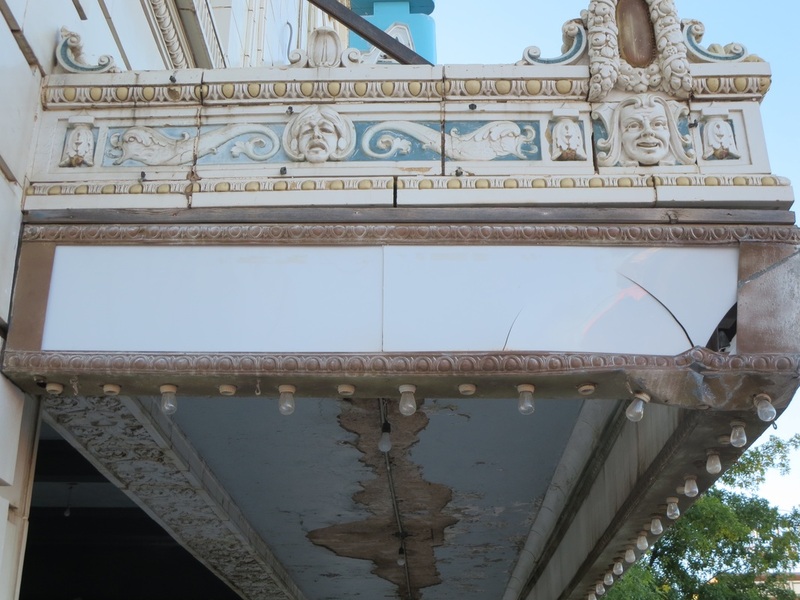 A thriving Douglas could restore its architectural heritage, including the Grand Theater and YMCA. The town could pay homage to its mining past. And maybe it's farfetched but how about Thornton Wilder Days? Local and visiting scholars could pontificate at Cochise College on the brilliance of the literary lion, but the weekend event would have to include storytelling and drinking at the Saddle and Spur and a last call in Agua Prieta. Gadsden Hotel, Douglas' signature 1929 building, was designed by famed Southwest architect Henry Trost. Marble and Tiffany stained glass adorn the lobby. 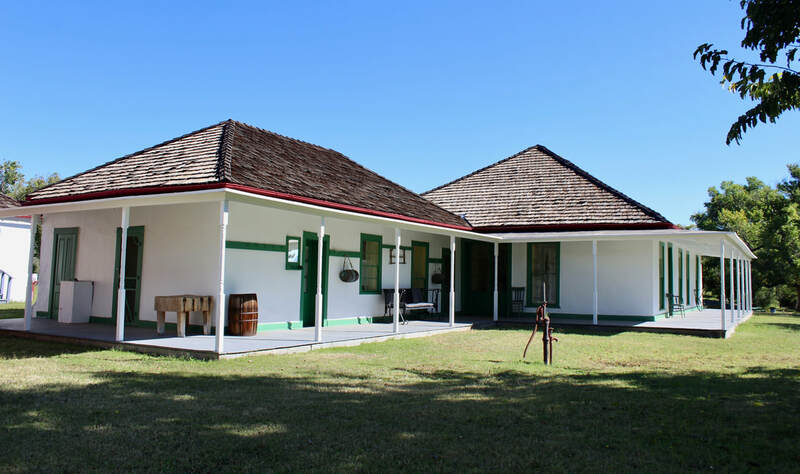 Slaughter Ranch, a National Historic Site, includes an 1893 adobe home 17 miles east of Douglas. Tours: 9:30 a.m. to 3:30 p.m. Wednesdays to Sundays. 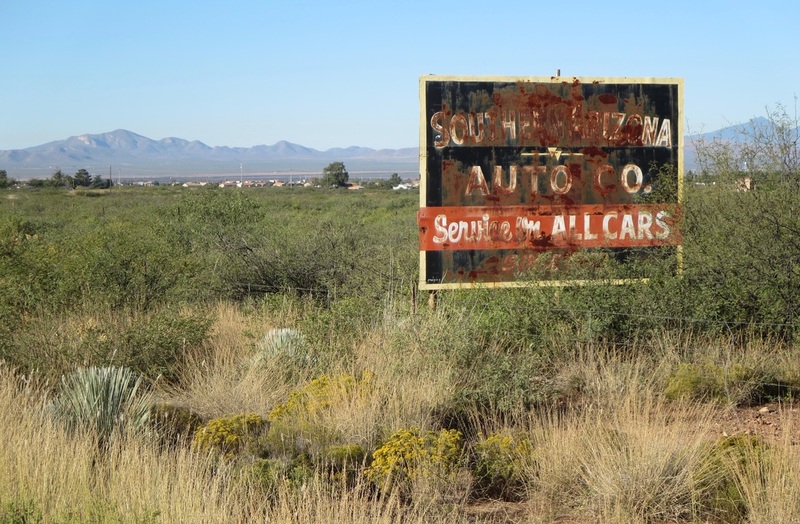 Southern Arizona Car Co. started selling GM vehicles in 1914 on G Avenue. 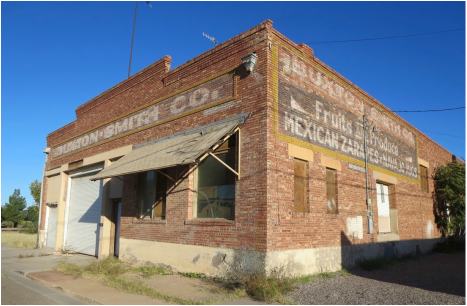 The century-old Buxton Smith Building sold fruit, produce and zarapes. Grand Theatre opened Jan. 25, 1919, with a 1,600-seat auditorium. Ginger Rogers, Ethel Barrymore and John Phillips Sousa performed on the stage here. Ranchers and railroaders were early guests of the Avenue Hotel. The original adobe wing (left) opened in 1901. The brick structure was added in 1915.